Different types of fish are allowed in the Keto diet. Salmon, mackerel, sardines and other types of fatty fish are part of the Keto diet. Keto diet includes fish that is low in carbohydrates and high in fats. These fish mentioned above are rich in Omega 3 fatty acids which are very beneficial vitamin-b, selenium, and potassium. Shrimp and many types of Crabs contain very low or no carbs and have proteins and fats in them. Shellfish along with being a good protein source also provides minerals like zinc, copper, and iron to a diet along with vitamin b-12. Eggs are an important component of the Keto Diet. Eggs contain very little carbohydrates and are loaded with proteins and contain vitamins, selenium, calcium, fats, and folate which are needed for good health. Another wonderful food item that people following the Keto diet can eat is cheese. Dairy is a huge part of the Keto diet and cheese contains high levels of fats and proteins and is low in carbohydrates. Cheese also gives the diet essential minerals like phosphorus, magnesium, riboflavin and Vitamin B12. Olive oil is a healthy fat source option as it is beneficial for the heart and is high in antioxidants necessary to flush out the toxins from the body. It is rich in the healthy monosaturated fats and omega 3 fatty acids. Different types of nuts are included in the Keto diet. This includes almonds, macadamia nuts, Brazil nuts, pistachios, cashews, and walnuts. These nuts have low carbohydrate content and include nutrients like calcium, selenium, fiber, iron and vitamin E.
Seeds are plant-based food items which are an essential part of the Keto Diet. Seeds like chia seeds, flax seeds, pumpkin seeds and sesame seeds which are low in carbs and high in proteins and fats and other essential nutrients like vitamins, zinc, fiber, calcium, and copper. Keto diet is a high fat and low carbohydrate diet. Butter plays a prominent role in this diet as it provides essential fats, fats soluble vitamins, proteins, calcium, phosphorus and Vitamin A, D, E.
Like butter, the cream is another dairy product included in the Keto diet. The cream is a source of fat that contains proteins and sugars and is very low in carbohydrates. The cream is very good for health in moderation and is needed by us as a part of the diet. People all over the world love chocolates those are very good for health and part of the Keto diet. Chocolates improve blood pressure and are a good source of antioxidants. It contains flavanols, proteins, Vitamin E, calcium, phosphorus, iron, and magnesium. Beverages like coffee are part of the Keto diet. Coffee is low in carbohydrates and high in proteins, niacin, riboflavin, vitamin B and minerals like manganese, magnesium, and sodium. When it comes to beverages, tea is also very good for health in moderation. Caffeine, antioxidants and Vitamin C all found in tea are very good for health. Tea and coffee are good for health only if they are consumed in moderation. Olives are acceptable in many diets including the Keto diet. Olives protect us from various forms of cancer and is a primary source of antioxidants. Olives are good for patients with high blood pressure and the carbohydrate content in olives is low. Berries provide with a rich source of antioxidants. They are low in carbohydrates, have high fiber content and provide nutrients like calcium, iron, potassium and Vitamin C.
Dairy is a cornerstone of the Keto diet. It includes Vitamin 12, proteins, niacin, phosphorus, riboflavin and is low on carbohydrate content. 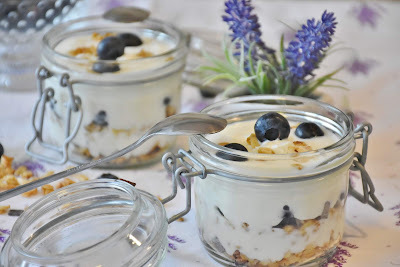 Yogurt is a probiotic which helps in digestion and is excellent for the keto diet. Different types of meats are very keto diet friendly. Grass-fed and unprocessed meats are often low in carbohydrates and high in proteins. Vitamin B12 is an important nutrient in meats along with selenium, phosphorous, niacin, choline, vitamin K, and iron. Like meat, grass-fed and unprocessed poultry is also part of the ketogenic diet. Poultry is low in carbohydrates and it has essential fats and proteins which are essential for a balanced diet. Poultry provides human beings with nutrients like Vitamin E, Vitamin B, thiamine, pyridoxine, riboflavin, niacin, iron, magnesium, and zinc. Health benefits of coconut oil can fill a book. Keto diet includes coconut oil as it is a good source of fat and provides the body with many nutrients like various fatty acids and natural saturated fats. Avocado has a very minute percentage of carbohydrates in them. This food item is a favorite with people looking for healthy diets and is included in the keto diet. Avocado is a rich source of vitamins and provides nutrients like Vitamin E, Vitamin C, Vitamin K, potassium and also contains essential monosaturated fats. Various vegetables have low carbohydrate content and are high in proteins, vitamins, minerals and essential fats. These vegetables include spinach, tomatoes, lettuce, broccoli, eggplant, zucchini, kale, cabbage, cauliflower, peppers, Brussels sprouts, green beans, and asparagus. Green leafy vegetables are generally part of the Keto diet. These vegetables are high in proteins, minerals and also a good source of fiber. Ketogenic diet helps to lose weight and also help the overall health of people following this diet as the foods mentioned above provide a lot of nutrients to the body. Keto diet is easy to follow as there is a lot of different food items included in this diet.